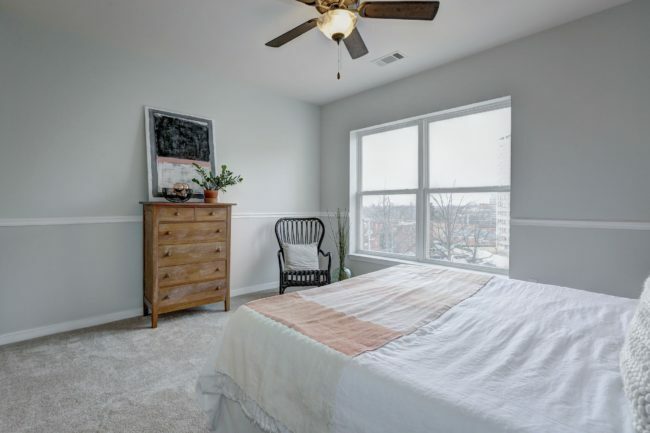 You’ll instantly fall in love with this 2-bedroom, 2-bathroom condo in the heart of Silver Spring. 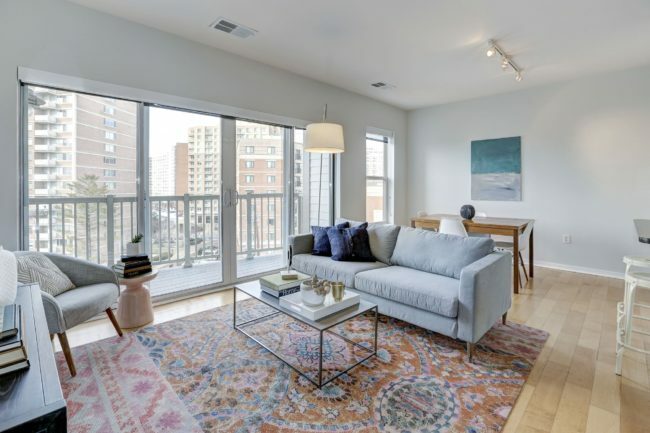 Featuring gorgeous hardwood floors through the main living space, tons of windows letting in Southwest-facing light, a full-sized washer and dryer, a low condo fee, garage parking, a walk score of 86, a quarter mile to the Silver Spring metro, and a private balcony overlooking the city. 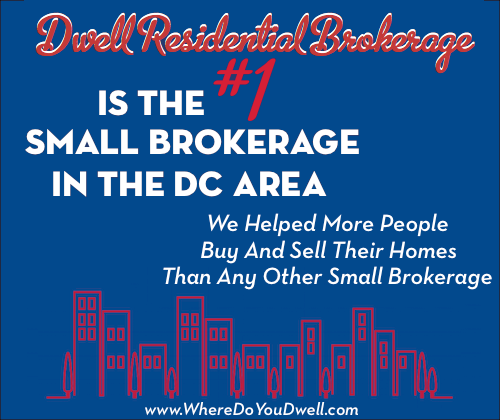 It’s got the all space you need and location couldn’t be more perfect! 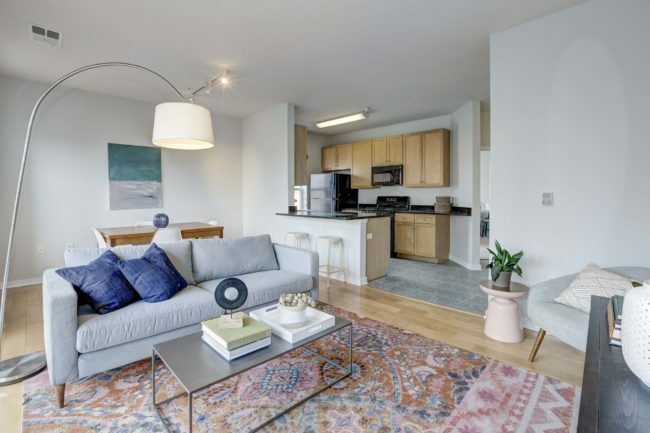 The Newell St. Lofts building is a pet-friendly residence that includes secure entry, a gym, and a gorgeous community terrace! Plus, there’s a community party room, perfect for having friends over to watch Sunday football games, Baby Showers, or birthday parties! 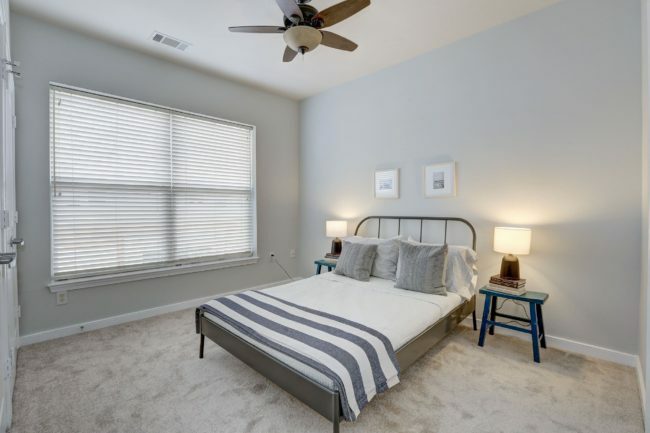 Walking in the front door, the first thing you notice is the beautiful hardwood floors and the wall-to-wall windows bringing in amazing Southwest-facing light! 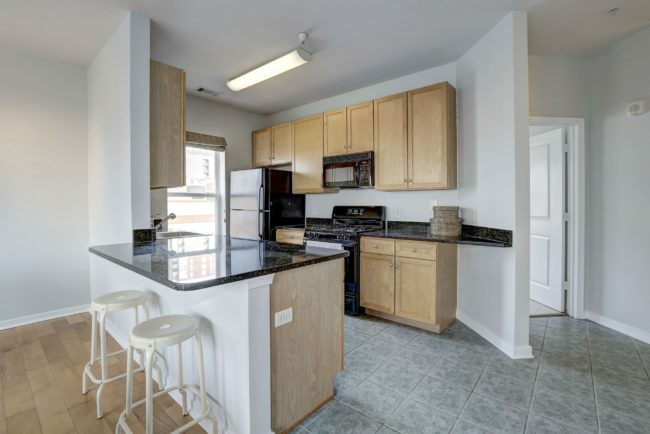 Open floor plan living is what this home is all about, with easy access to the living room, dining room, and kitchen with a breakfast bar! 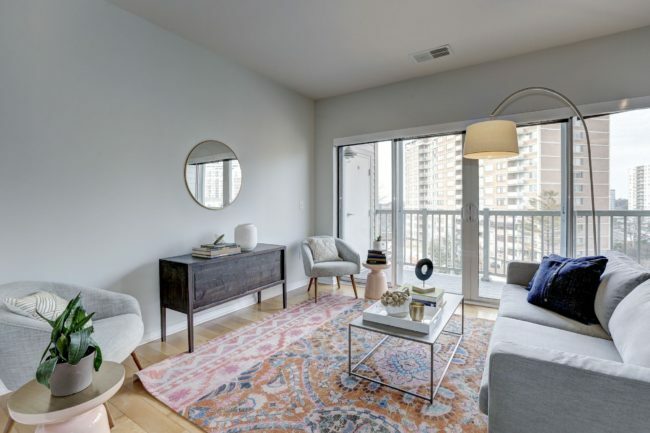 Through the main living/dining room is your private balcony – perfect for sipping your morning coffee, or watching the sunset fall over the DC skyline! 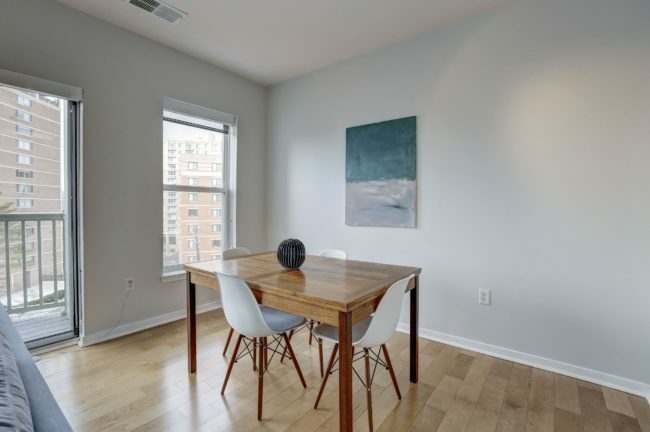 The dining room is part of the open floorplan, with easy access to both the kitchen and living room, making this the perfect spot for a lazy weekend brunch. The breakfast bar offers even more counter space and an easy way you to entertain guests while you whip up something amazing for dinner. 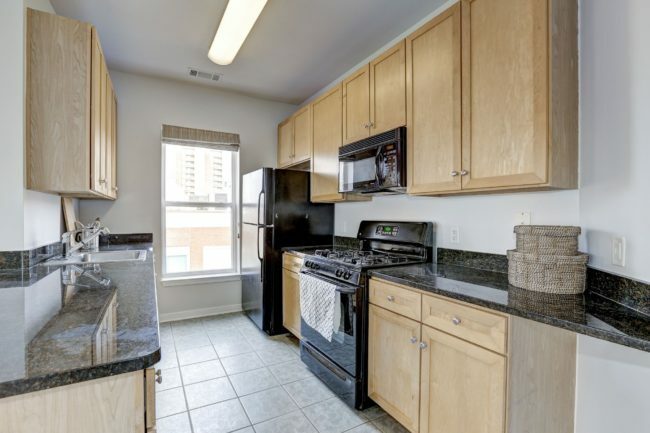 Light fills this huge chef’s kitchen with beautiful black granite counter tops, gas stove, updated appliances and lots of cabinet storage! Down the hall you’ll find the master bedroom. Enjoy rest and relaxation in the spacious master with room to add functional furniture pieces and big open windows. Shoe addict? No problem! 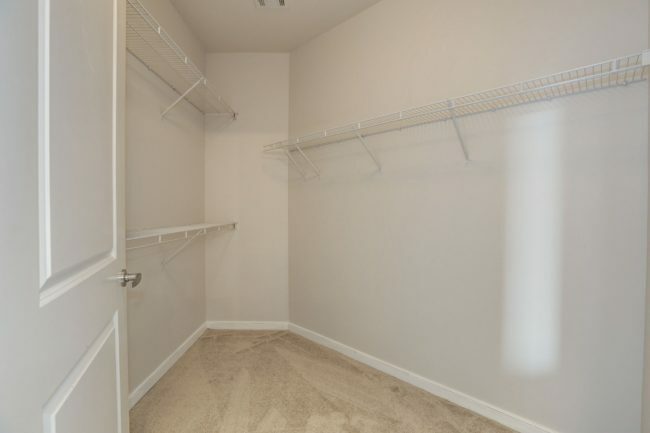 Your closet is HUGE and has space for tons of shopping sprees! 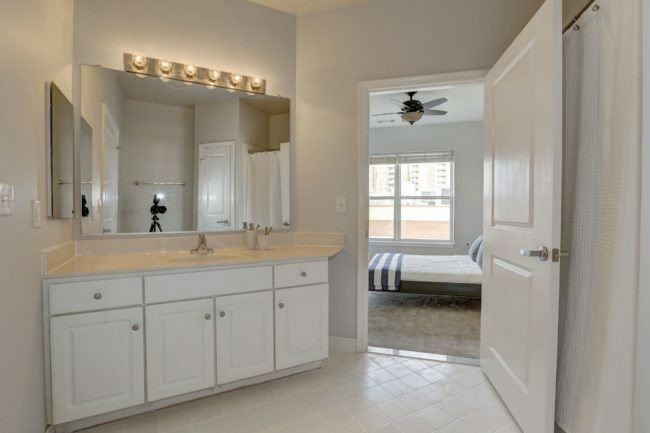 The master en-suite bathroom features an double sinks, perfect for getting ready for work in the morning or for a night out on the town! Plus – a HUGE shower! 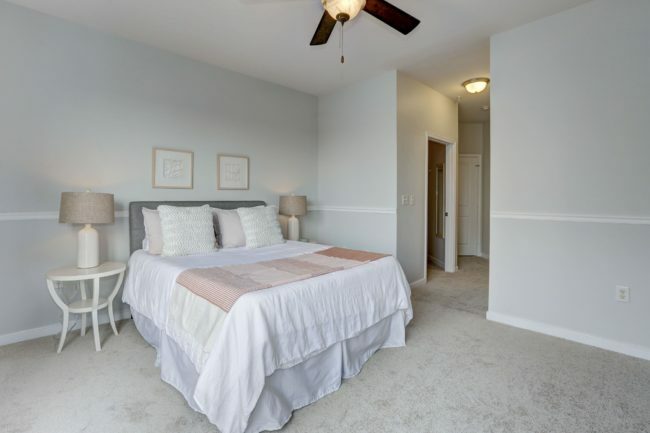 The second bedroom has lots of space and also has a ceiling fan – perfect for those hot DC summer nights. 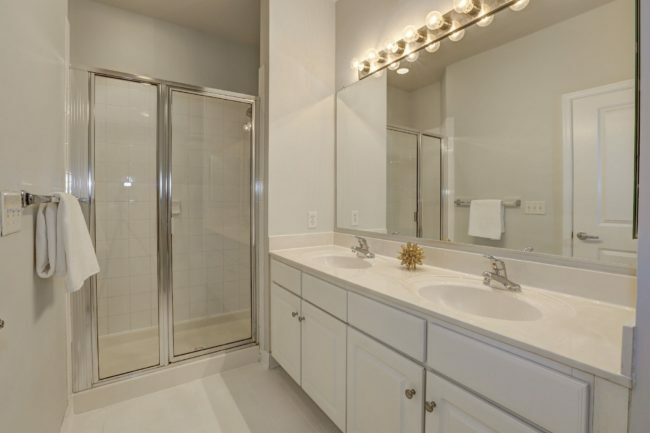 The super spacious second bathroom features a huge mirror, large vanity sink, and crisp neutral features. 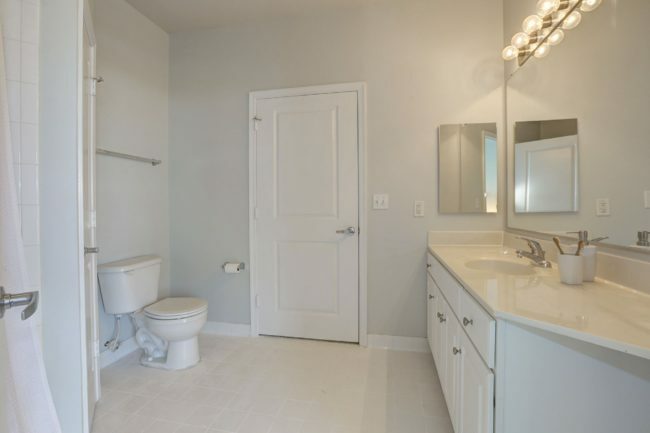 The second bathroom is easily accessible from the kitchen and living room, as well as the bedroom – perfect! 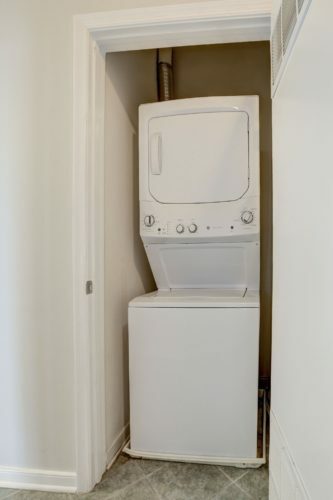 With a full-size washer and dryer you don’t have to go anywhere to do your laundry! 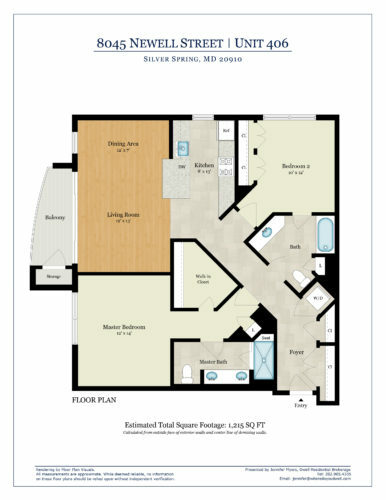 Click on the image above for a larger view of the floor plan! 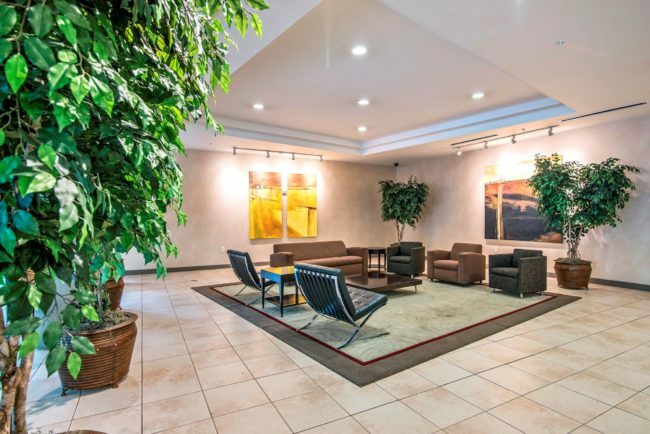 A private lobby with secured access provides safety and comfort. No need for a gym membership! 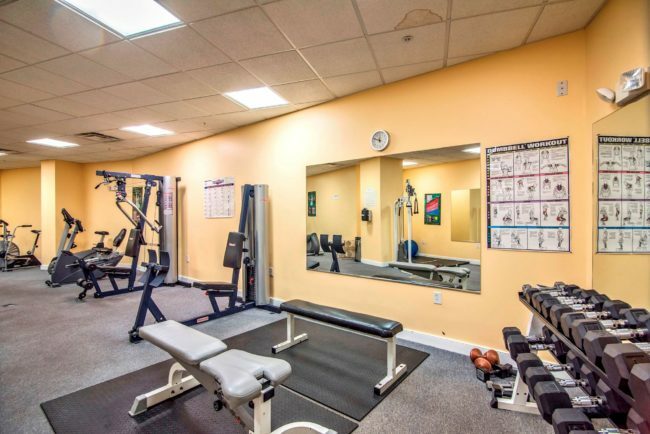 This huge gym makes it easy to stick to your workout routine, with a great variety of equipment to choose from. 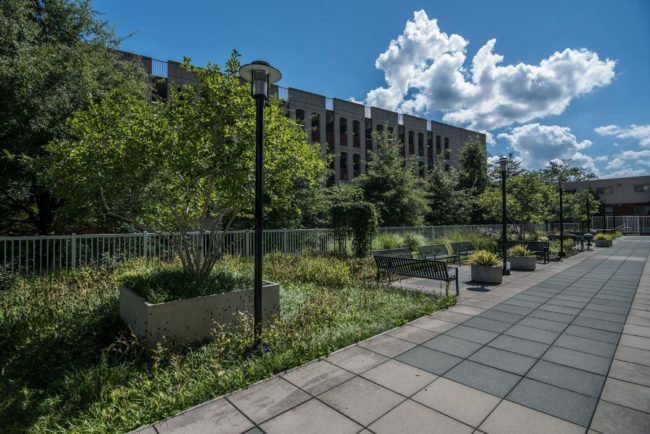 Step outside into a beautiful green oasis and enjoy the serenity of nature – right in the middle of downtown Silver Spring! 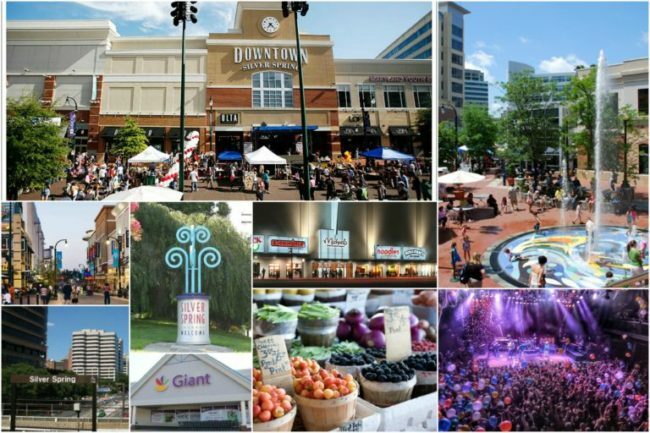 Just a few blocks from Downtown Silver Spring means you couldn’t be closer to shops, bars, restaurants and conveniences you need. 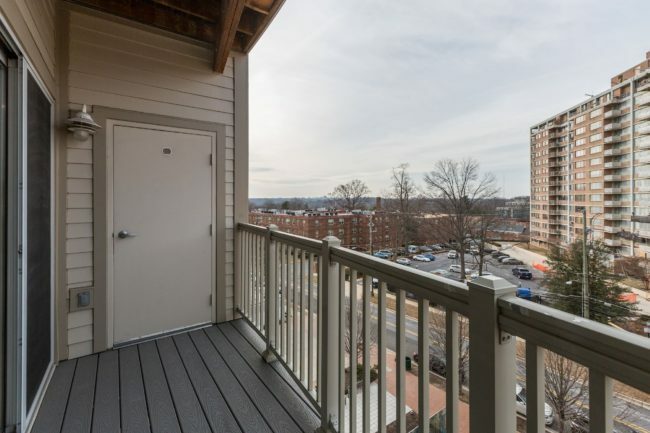 And a quarter mile from the Silver Spring metro means you’re just a few metro stops from downtown DC – perfect for commuting!